Sleep apnea is a prevalent sleep-related breathing disorder characterized by abnormal breathing patterns and ventilation. Apneic periods, or pauses in breathing, occur at different frequencies and durations in the sleep cycle depending on the severity of the disorder, resulting in sleep disturbances and a reduction in gas exchange. Consequently, cardiovascular issues may develop as a result of repeated oxygen-starvation in the body, as well as a range of behavioral health problems brought on by persistent interruptions in the sleep cycle. 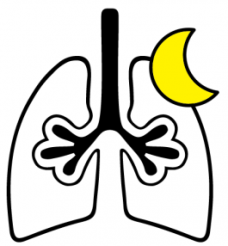 Learn more about Sleep Apnea on our website dedicated to respiratory research and inhalation exposure.